Lightning is a natural phenomenon, and the stuff of nightmares for children everywhere. 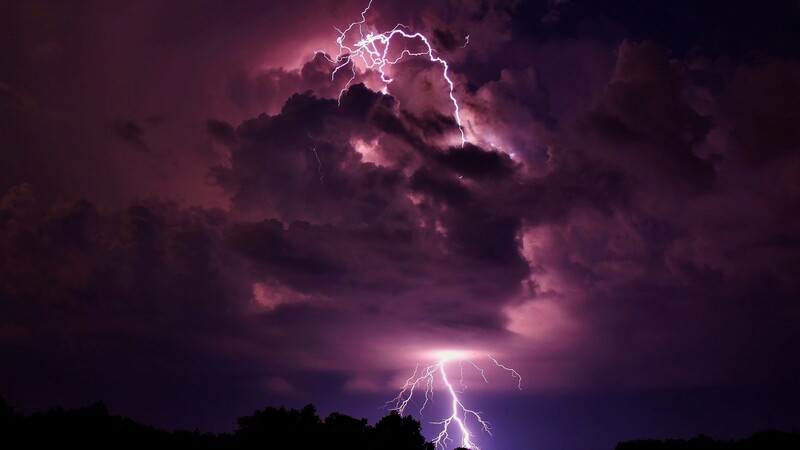 With the help of high-speed photography and the never-ending passion of extreme photographers, the split-second occurence of lightning can now be captured in all its glory in the humble photograph. In this week’s Wallpaper Wednesday we have 24 amazing wallpapers that show the power and rage of lightning. Over deserts, canyons and vast oceans, these lightning photographs are proof that lightining can strike the same place, more than twice. Lightning Buzz. Available in various sizes. Raining Lightning. Available in various sizes. Canyon Lightning. Available in various sizes. Lightning And Volcano. Available in various sizes. Still Blue And Lightning. Available in 1920×1080. The Lightning Strikes. Available in 1920×1080. Night City Lightning. Available in various sizes. Lightning Storm. Available in 1920×1080. Arizona Lightning Strike. Available in various sizes. City Lightning. Available in various sizes. Coast Lightning. Available in various sizes. Positive Lightning. Available in 1600×1200. Dark Time Thunder. Available in various sizes. Dangerous Cloud. Available in various sizes. Thunder Cloud. Available in 1920×1080. Over Dauphin Island. Available in various sizes. Storm Lightning. Available in 1920×1200. Sea Clouds Electrifying Force. Available in various sizes. Sea Storm Wallpaper. Available in the following size(s): 1440×900, 1920×1200. Lightning Skyscapes HD. Available in 1920×1080. Nature Storm. Available in various sizes. Lightning Desert. Available in 1920×1200. Purple Night Storm. Available in various sizes. Lightning At Sea. Available in 2560×1600.